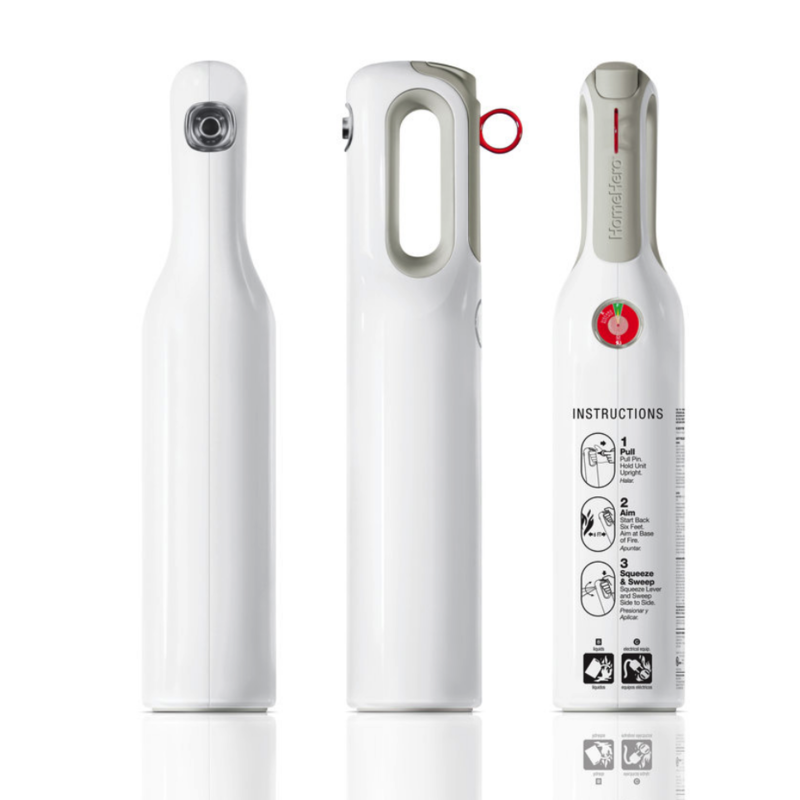 Peter Arnell had the idea of updating the look of the common household fire extinguisher, so that people would keep it in plain sight and be able to find it more easily in an emergency. The original concept was born 12 years before it finally came to life as he explained on the Martha Stewart show during the product launch. 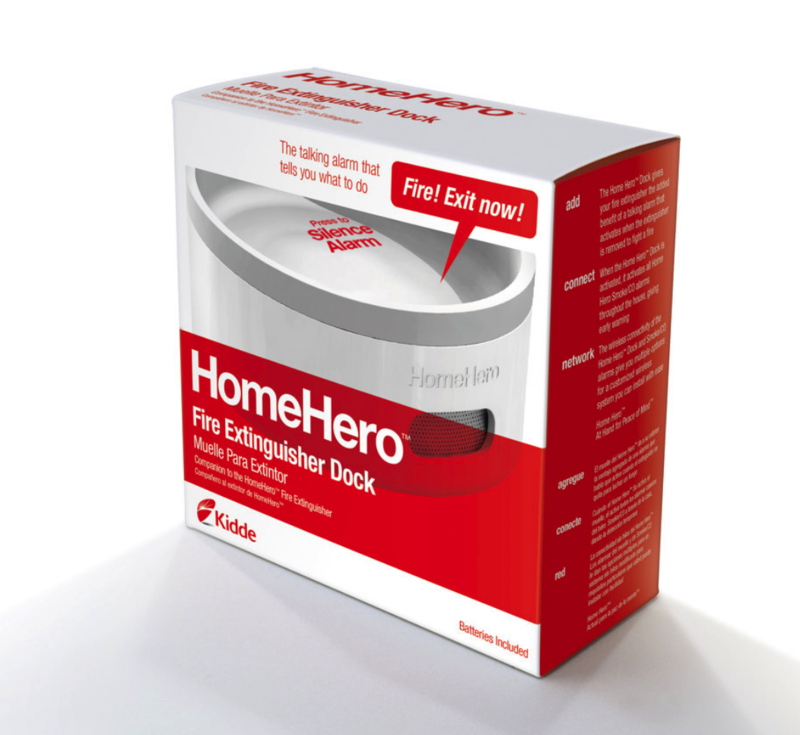 He was just waiting for the perfect marriage of opportunity between inventor, manufacturer, and distributor, which happened when he pitched the idea to Kidde, the world leader in fire safety products, and brought it into the home via Home Depot. 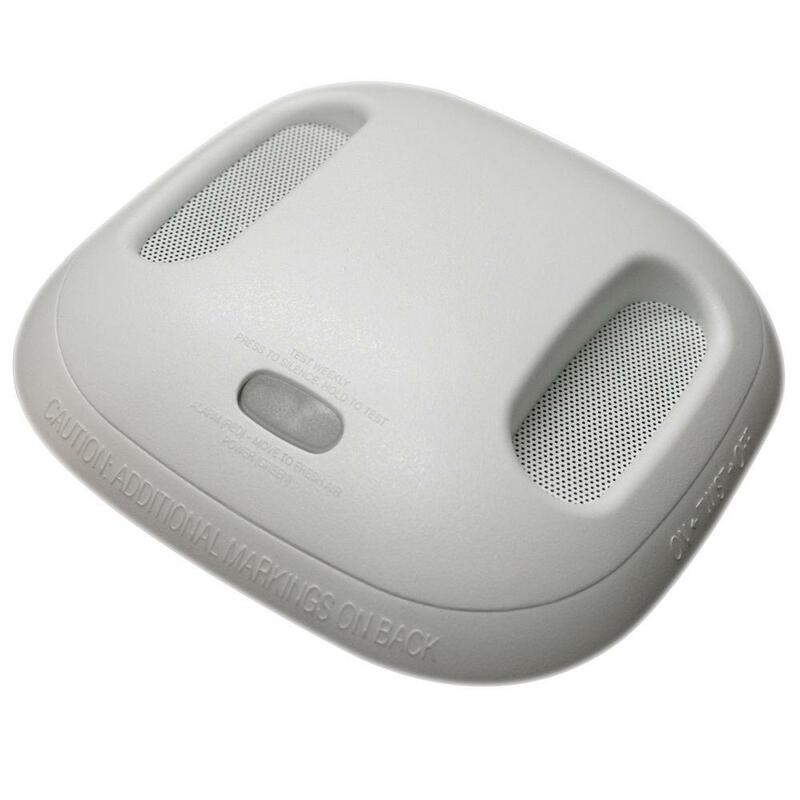 The key principle behind the HomeHero is simplicity and beauty. Because the product is beautiful, it will not be hidden away, and clear, succinct, informational graphics make it easy to use. 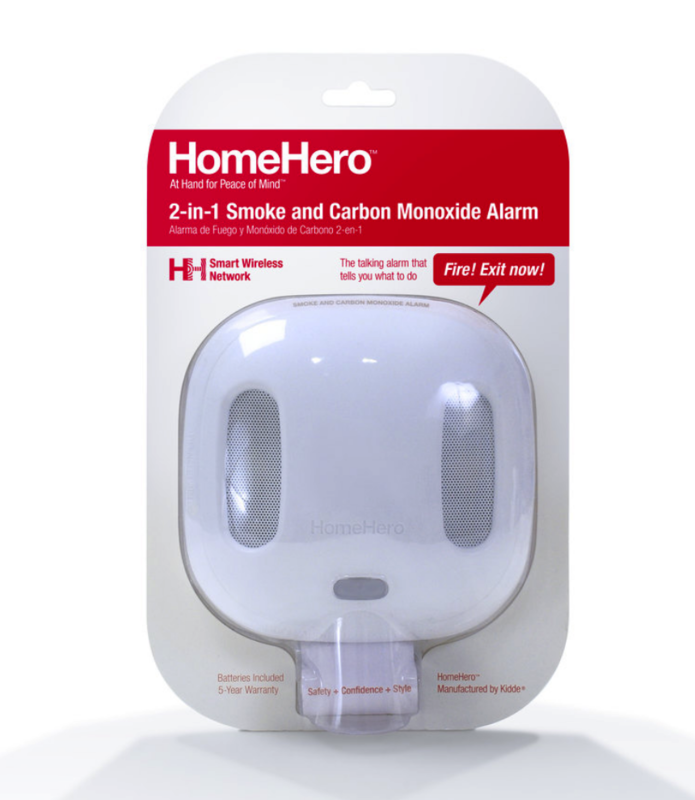 The HomeHero family also consisted of a comprehensive system that links together other safety products such as CO/smoke alarm, and voice alert box via an accessory docking station. 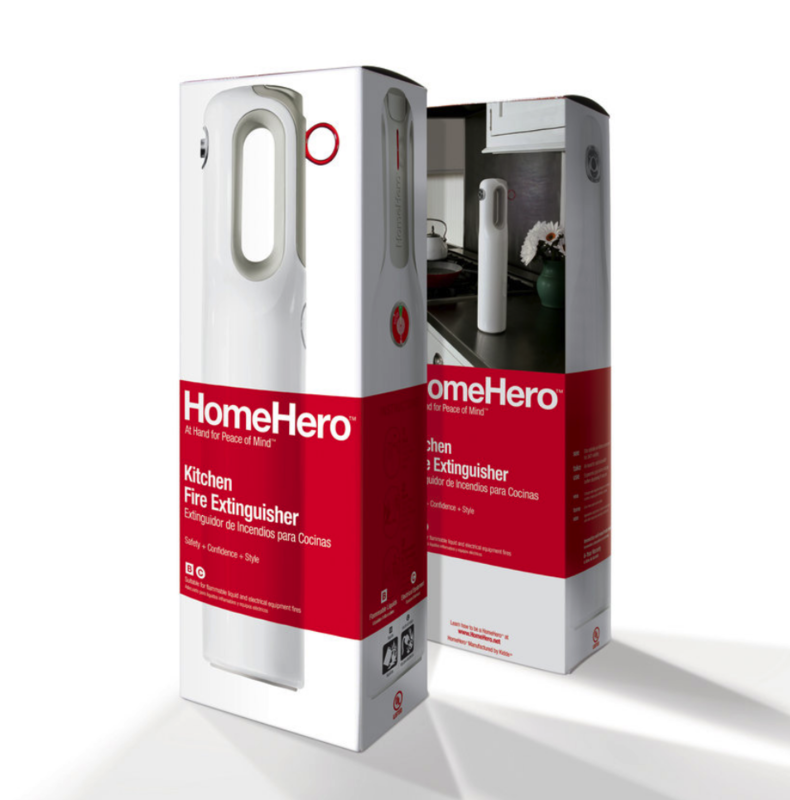 HomeHero was sold at Home Depot nationwide and won the IDSA Gold Award in 2007. Created at Arnell.